Get Your Project Coalition Canvasses now! Go Create Your Project With Us! Our three canvasses are simple to use action based hands on tools to build your project with others. Three basic steps to help you in your future collaborations. Collaborating has never been easier! And the best thing of all. They are absolutely free. We only ask you to share alike. Helping you with online available project building blocks on Podio®. Podio® is the customisable work management solution leaders trust and employees love working on. Our free canvasses & our Podio building blocks are your gateway to greater stakeholder success. You are immediately enabled to create your collaboration online! If you need some help with your collaborations we can provide a taylor made program. 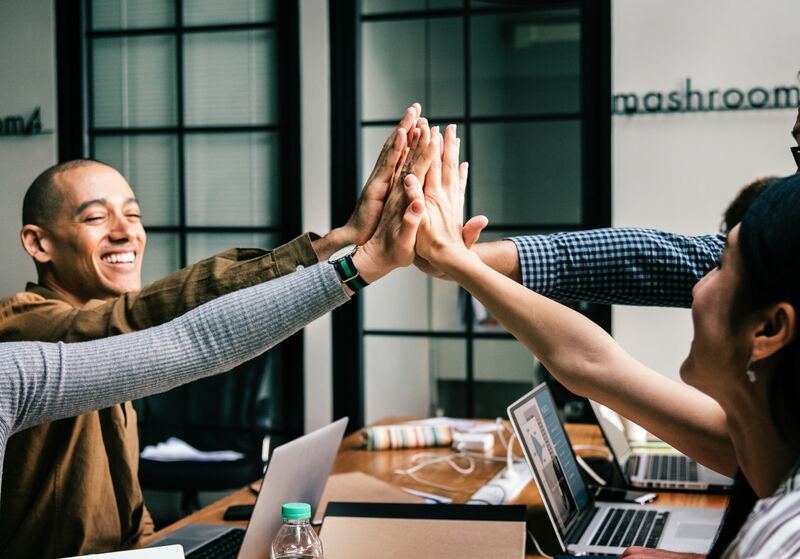 We can help you start up your project or organize your kick-off with your collaborators using the Project Coalition Suite. Our Masterclasses are provided on special request only. This first canvas helps you to map your stakeholders focussing on value, not risk. With an easy tutorial video we are guiding you through the canvasses and helping you build your coalitions. Just take a look at the Stakeholder Value Canvas and the video explaining how it works and start your first project. Don't forget: large print of the canvas let's you do this exercise with others! A second canvas helps you to build your coalition. It gives you a clear view how to organize your stakeholders in your project. An easy tutorial video again guides you through it. Don't worry we are always there to help you out with your questions! Download the Stakeholder Coalition Canvas and get things moving. Experience how easy it is to collaborate! 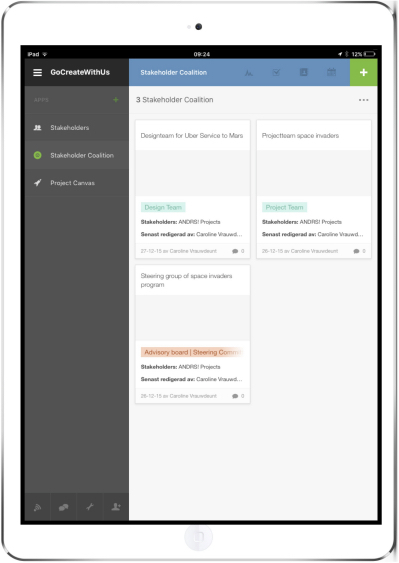 A third canvas helps you kick off your collaboration together with your stakeholders. The tutorial video touches the basics. We will always be there for you to help, should you need it. Download your Project Coalition Canvas and kick off your project. Use it throughout your collaboration to evaluate if you are still on the right track. Now you are all set! Happy collaborating! Designed for Future Leaders, Projectmanagers and all Collaborators alike! Now you have the tools to build your project with others. A free projectsuite packed with our many years of project experience! In 3 easy steps you are able to get your stakeholders involved, build your coalition and start your project! Or evaluate your project with your collaborators! Among the top three best rated Project Management apps in the Podio® market. We are ANDRS Projects. We help you to connect & engage with your communities. We believe innovation can only arise from collaboration. We are sharing our amazing tools in order to help you get better project results. We consider the free sharing of knowledge a key factor in innovation. We only ask you to share alike and give us credit.